Series classes make great gifts! Not sure which class they will want? No problem! With our Gift Card, they can join any class they’d like, space provided, so give early! Also please provide the best mailing address we can send the gift card to, along with any messages for the receiver. 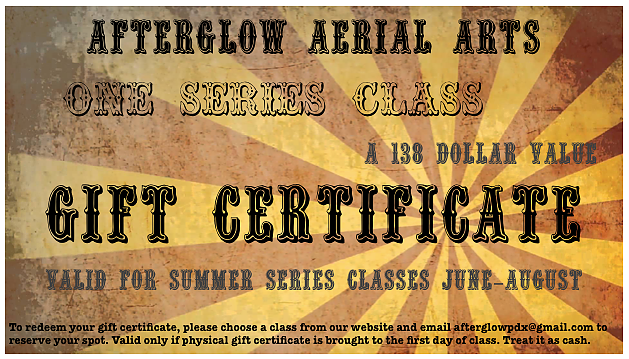 Please have your gift receiving student contact Afterglow Aerial Arts at least a week before the first day of class to check for availability.